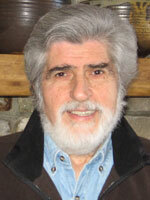 Jerome Aumente is Distinguished Professor Emeritus in the School of Communication and Information (SC&I), Rutgers University, the State University of New Jersey. He devotes his time to writing and to regional, national and international assignments as a media consultant specializing in journalism and mass communications training and university curriculum development. He has extensive experience in the international training of journalists; joint curriculum development with universities internationally and in the United States; as a trainer in health communication, the Internet and newer media technologies; investigative and enterprise reporting; business, economic and financial reporting. He has been a consultant to major foundations including the John and James L. Knight Foundation; the German Marshall Fund and the Ford Foundation evaluating professional training and mid-career programs for journalists. He has been a consultant to the U.S. State Department doing media needs assessments in Europe and as a program evaluator for journalism curriculum projects in Russia. He was founding Director of the Journalism Resources Institute (JRI) and was founder and former Chairperson of the Department of Journalism and Media Studies. Both units are in the School of Communication and Information , one of the first interdisciplinary schools founded in the United States, which he helped design at the request of the university provost. He was Special Counselor to the Dean of SC&I from 2000 to 2015. The Journalism Resources Institute conducted nearly $5 million in projects, and trained over 14,000 print and broadcast journalists under his direction, with over $2 million in media training and journalism projects in Central and Eastern Europe. The JRI, under his leadership, had special projects in international affairs, journalism and mass communications, new media technologies, health, medical, and environmental coverage, media and law, evaluation of professional training of journalists, business and financial journalism. Aumente has published four books with the most recent, “From Ink on Paper to the Internet”, an examination of newer media technology and the Internet, winning the Society of Professional Journalists national award for journalism research in 2008. His earlier books examine journalism in Eastern Europe; the development of electronic publishing, and a guide for young people examining misinformation in the media.